Beacon Lamp Co Torchiere Lamp, ca 1898? 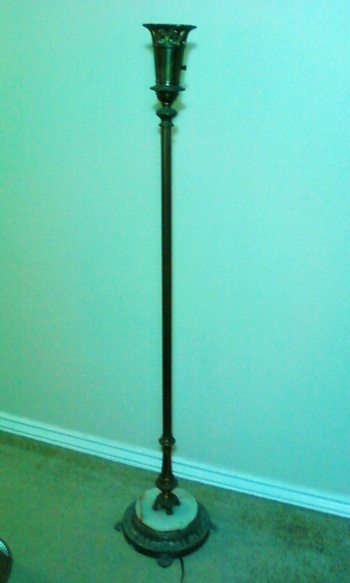 I recently purchased an electric torchiere floor lamp at a local thrift shop. 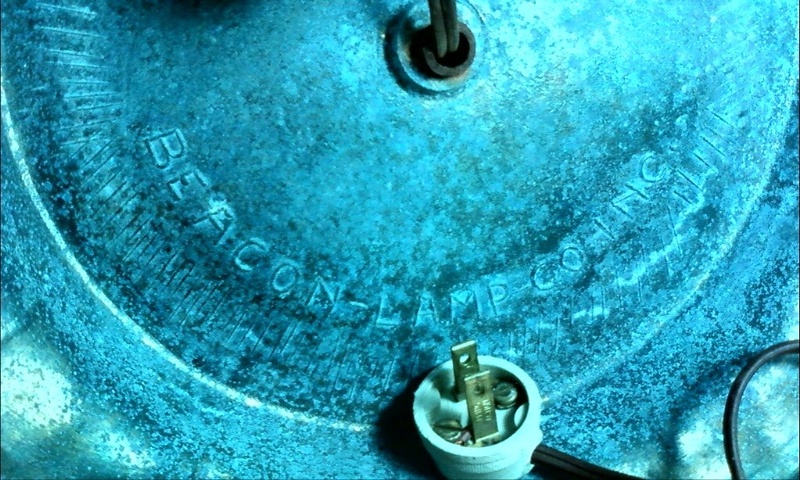 The light bulb socket is sized for a three-way 100-200-300 mogul bulb and cast into the underside of the base are the words "BEACON LAMP CO". My search on the internet found no other lamps from this maker but did return some information that there was a Beacon Lamp Company in New Brunswick, NJ in 1897 that filed for bankruptcy in 1898. Another document I found stated that the Beacon Lamp Co. factory was destroyed by fire in 1899. How can I verify if this lamp is authentic and, if it is, what would the estimated resale value be? I have two of these lamps. Both have the shades and bulbs. I am trying find out more about them. Hello Ghound and thank you for the comment. You are the first one to do so in 9 mo. Yeah, unfortunately my did not come with a glass shade or diffuser, which ever vernacular you choose. Do your lamps say "Beacon..." on the bottom as well? I sure would like to see a few pictures of those shades. I know these torcierre lamps are commonly found today in funeral homes. I spoke to the mortician and he said he buys them from some funeral services wholesale supply business on the web, the lamps were not old. So I'm hoping that mine is not a cheap knock-off made in China. Let me know if you find out anything interesting. My lamps do say Beacon Lamp Co on the bottom of the base. I did post a photo of one of the lamps. An individual said that my lamps were made from more than one lamp. He said they did not mix brass and chrome. I have sent photos to antique shops and have not received any responses. Thank you Phil. I will chase that thread of information. I have the torchiere lamp also. I didn't know anything about it. I just broke the glass torchiere to it. I wanted to cry, it was my grandmother's. I am looking to replace the glass. I called the Antique lamp supply company they may have a replacement glass. This will not be cheap. I just purchased a beautiful torchiere also stamped "Beacon Lamp Company,NY" on the bottom. I also purchased additional, hand blown glass diffuser. Saw an identical one on web for $249. I would also like to date my lamp if possible so if anyone has found information on the manufacturer, please share.